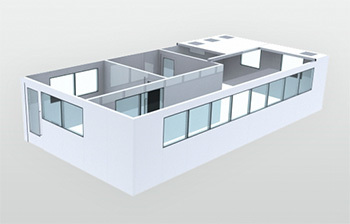 Our cleanrooms’ unique modular advantage is in its Hook & Seal system and our 100% prefabricated panels, which include pre-wired outlets, lighting and integrated utilities. 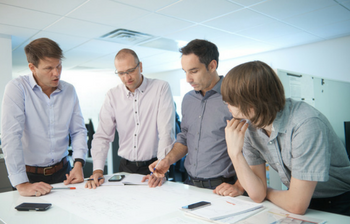 Mecart’s in-house team of engineers, architects and technicians are dedicated to your project from engineering & design up until commissioning and validation. Mecart is committed to deliver your project on schedule and in accordance with performance requirements. 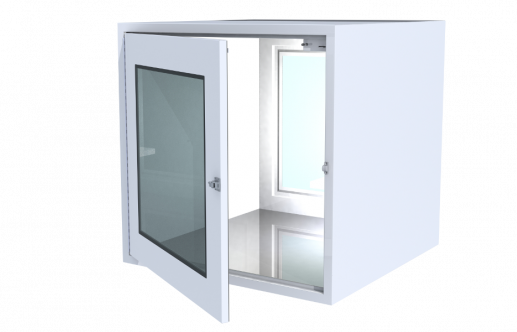 We guarantee delivery time, quality and performance of our cleanrooms. We have the solution to match your needs and budget ! 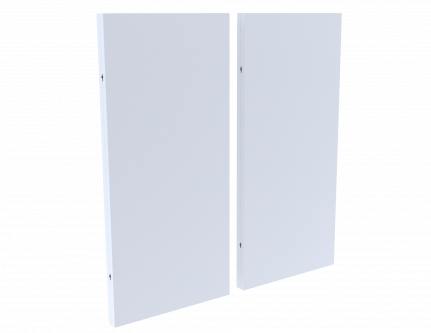 Wall panels are custom made for your cleanroom project, pre-engineered and pre-fabricated to eliminate any cutting and buffering during on-site installation. 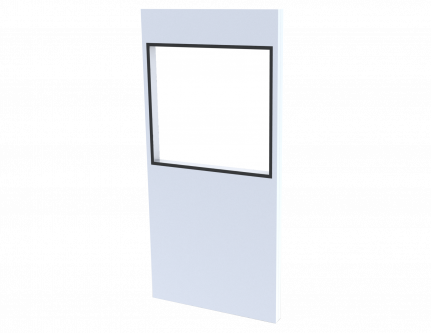 Mecart-made cleanroom doors can be configured as single or double swing doors (manual or motorized) and can be 100% customized. 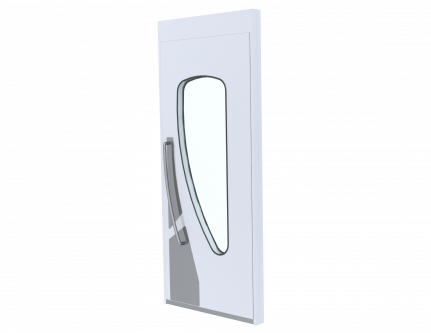 Several cleanroom window options are available, ranging from the conventional fully flush rectangular shape window to the semi-flush round corner window. 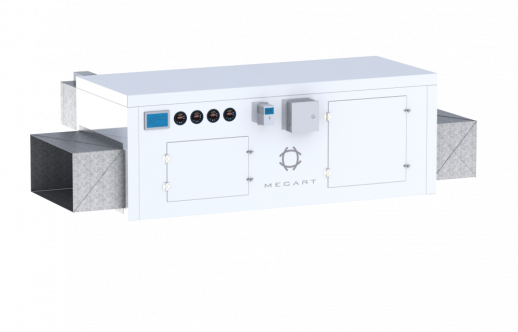 Mecart will work to design the right HVAC for your cleanroom project in order to meet your needs. 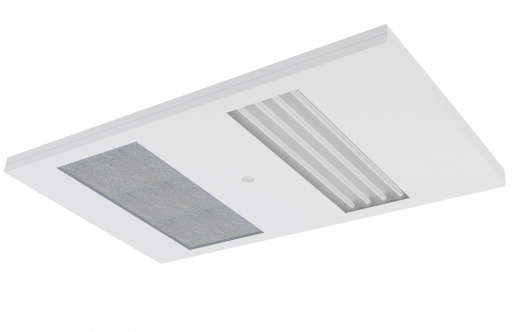 Our ceiling system uses prefabricated and pre-engineered steel panels with preconfigured HEPA/UPLA filters, lighting and fire sprinklers. Mecart can provide your cleanroom with pass-throughs, benches and sinks. Custom designs are also available upon requests. MECART built our cleanroom back in 1993 and after over 20 years in operation, it is still meeting our expectations. The cleanroom has remained in excellent condition and has been easily modified over time in order to meet our evolving requirements. We are very satisfied with both MECART’s cleanroom and the customer service received throughout the years. Overall I am very impress with the quality of the workmanship of the production staff and the supervisors. The QC program that Mecart has installed into the work ethic is outstanding. The office staff is very knowledgeable and open when there was to be discussion on the procedures pertaining to the IHB program. Mecart will be an outstanding addition to the IHB program. Get a state-of-the-art, long-term asset that exceeds your requirements and expectations.